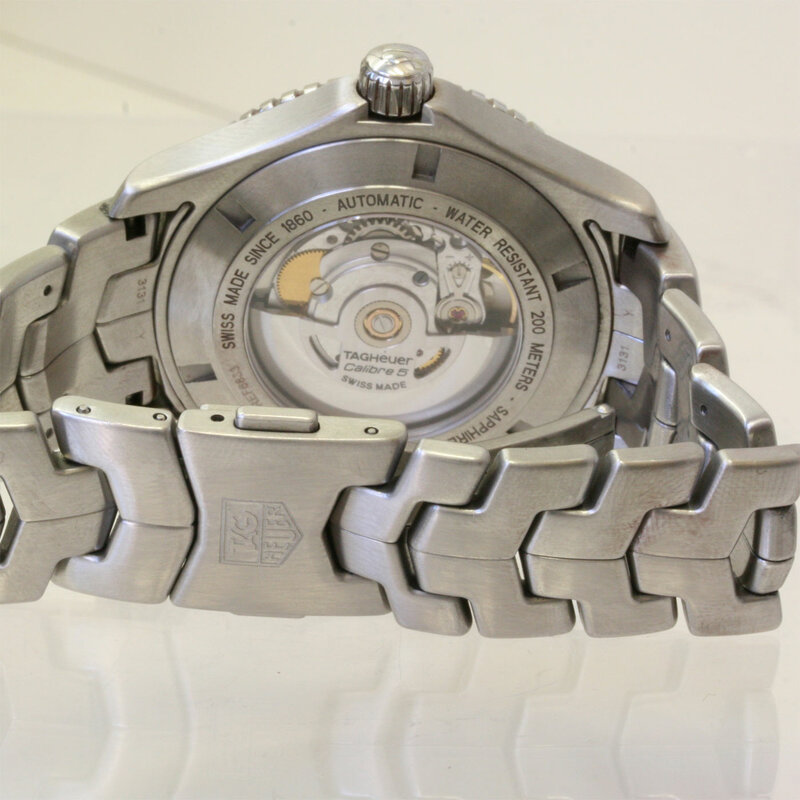 Tag Heuer Calibre 5 Link series. Product code: 747 Categories: Sold Items, Sold Watches. 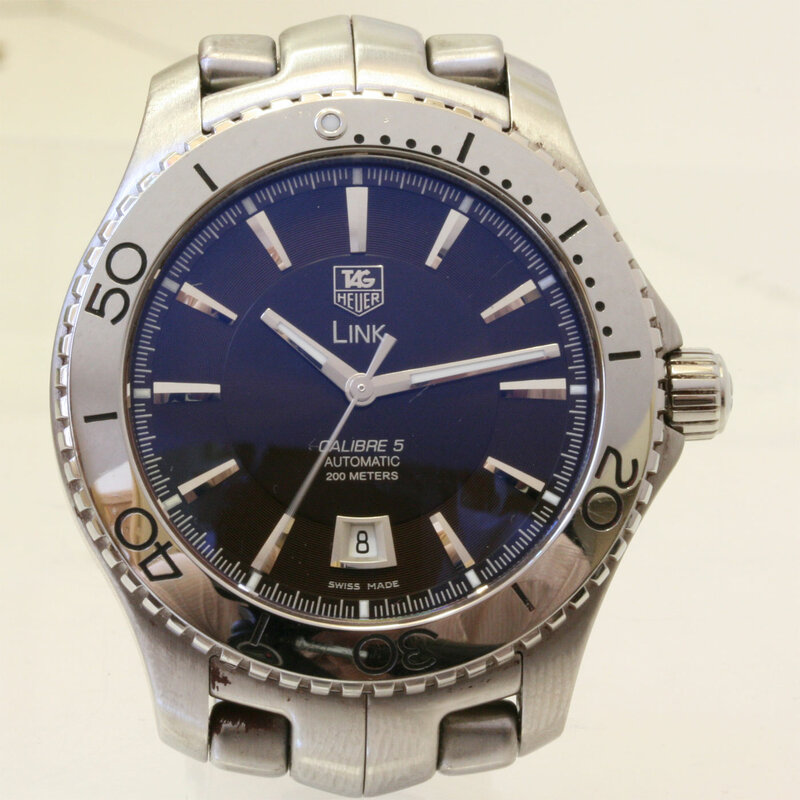 This is a very handsome and impressive looking watch for any man, the Tag Heuer Link Calibre 5 Turning Bezel. Making this watch look handsome is the satin finished stainless steel case, which measures 42mm and has the rotating bezel in polished steel. 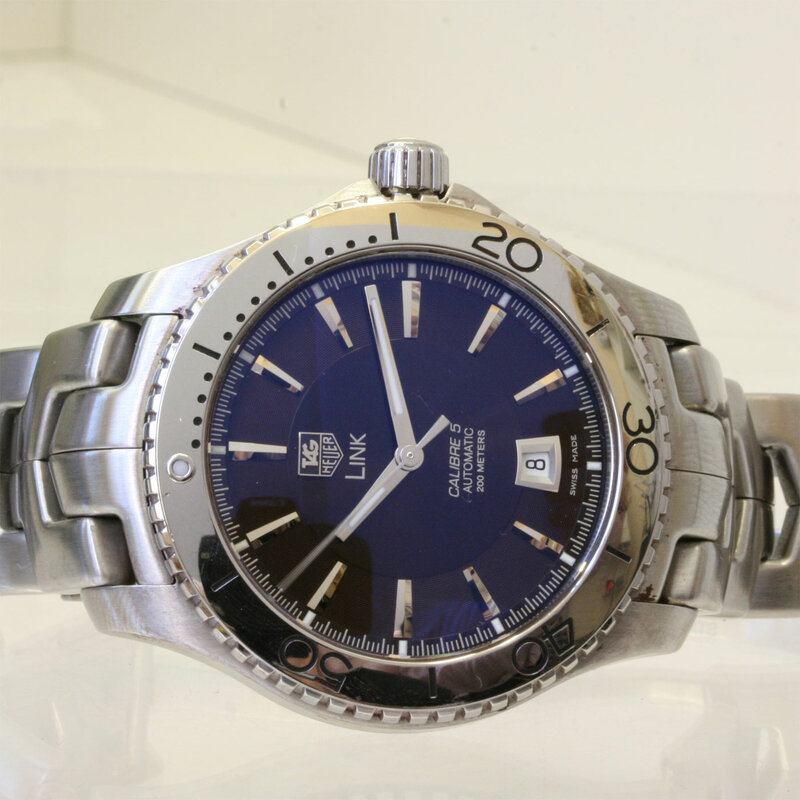 Fited with a screw-in crown and sapphire crystal, this Tag Heuer is water resistant to 200 meters. Powered by a 25 jewelled automatic movement with exhibition window on the reverse and the complete with the date function, this watch will look superb on anyones wrist. This watch was bought new in 2008, and is in great condition.